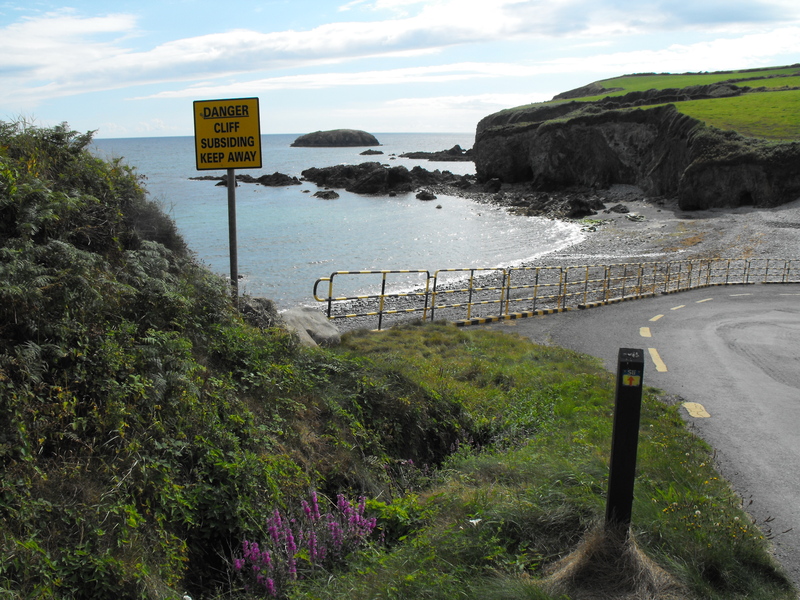 Ballyvooney Cove is on the smaller coast road between Stradbally and Bunmahon and is not well known. 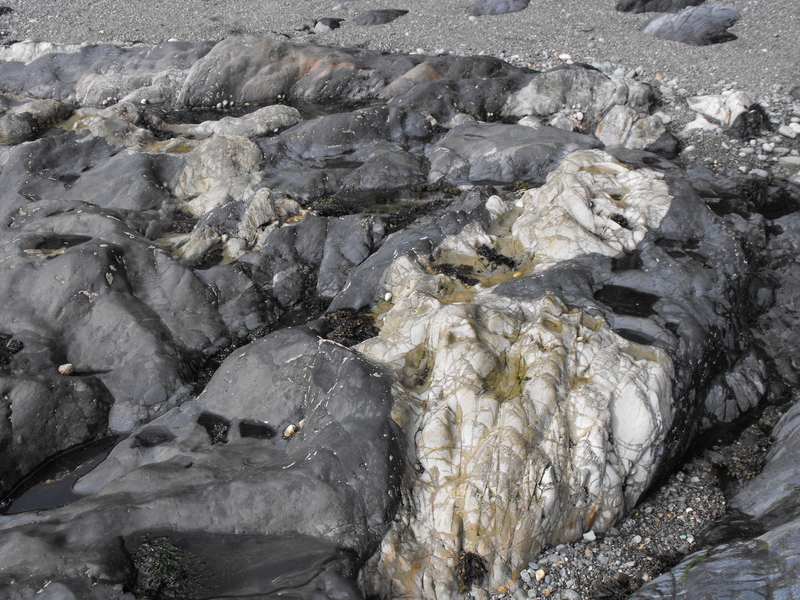 It has heavy shingle and is difficult to walk on above mid-tide, like some of the others along this coast like Annestown. 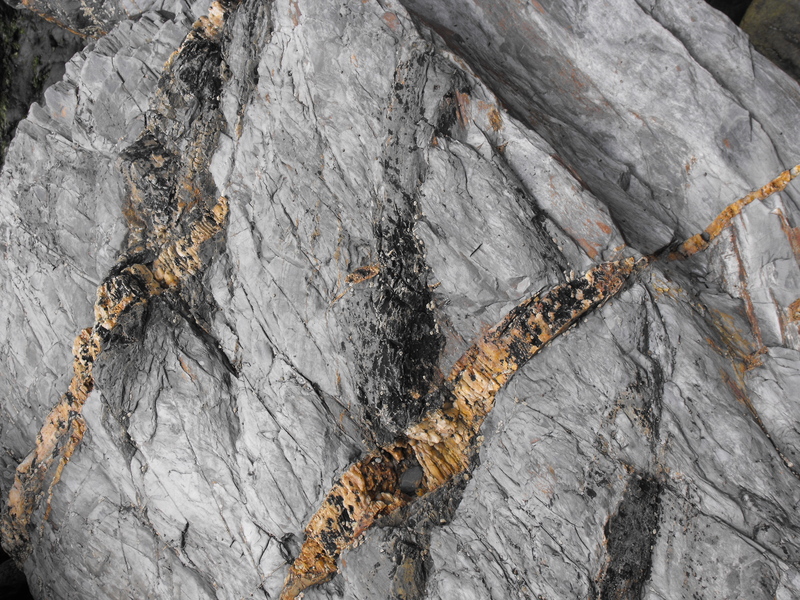 It’s only a couple of hundred metres across and the same to the flanking rocks. 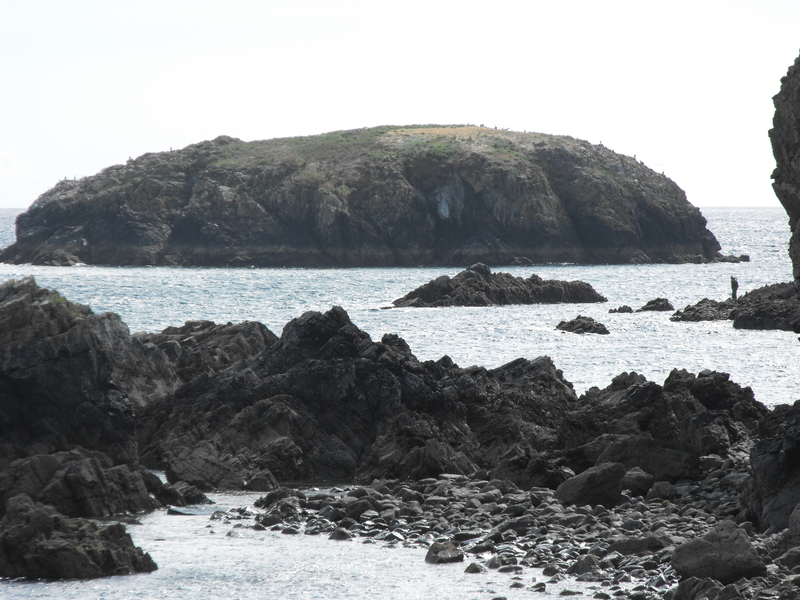 To the south-west is Gull Island, the largest of that name along this coast, and the cliffs rise steadily from the relatively low height around the cove to highest and most vertical on the Copper Coast. 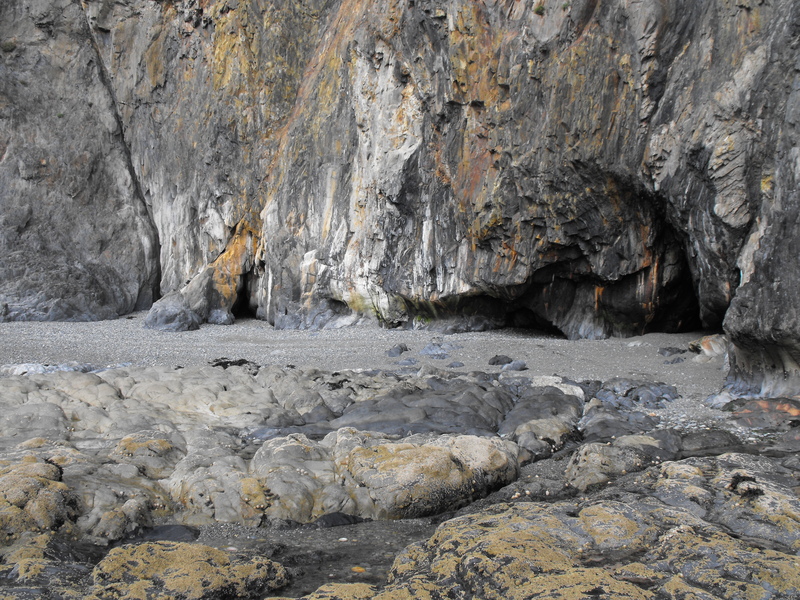 The only break between Ballyvooney and the north-eastern end of Clonea’s beach and Ballyvoyle is the narrow and shallow cove at Stradbally, cut out by the river Tay. 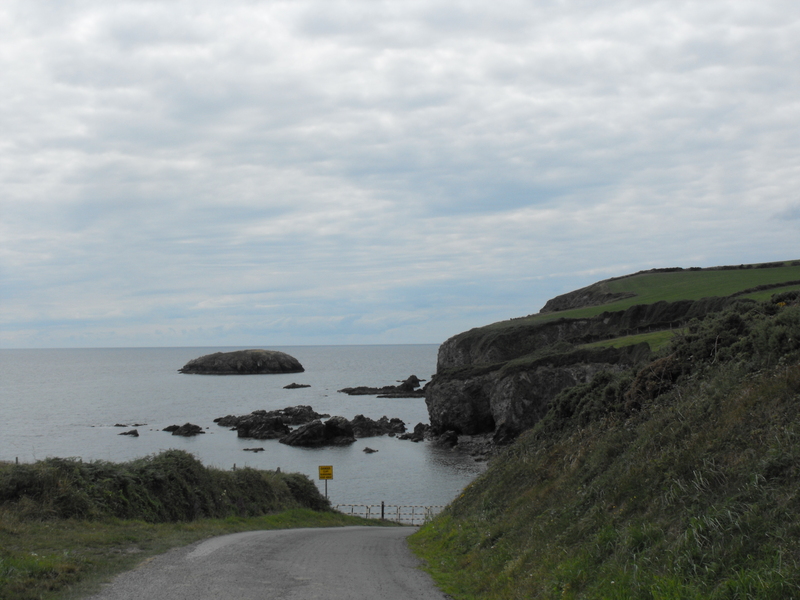 Stradbally Cove is invisible from the east until you are right outside it. Further on is Ballyvoyle Head which is pretty inaccessible from land and is the headland which juts out furthest in the sea on the entire Copper Coast. 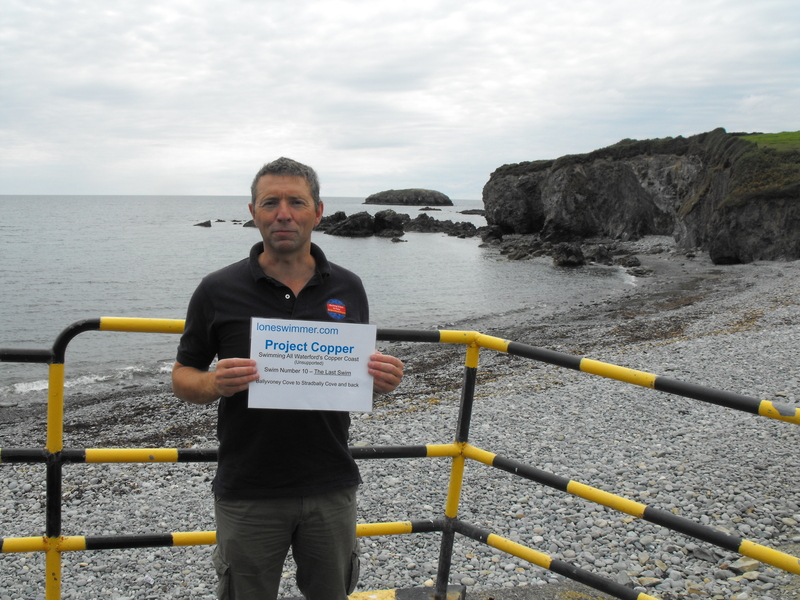 It is the last swim of Project Copper, and the shortest distance. With the coast curving around (westerly) toward Stradbally before curving out (south-westerly) toward Ballyvoyle Head, I hoped that the curve would mean I wouldn’t be exposed to too many currents. 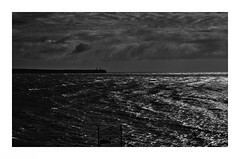 However, I would be swimming out of range of Goggle Earth’s high-resolution images, and back into an area covered only by the very low resolution images I’d previously had for everywhere on the Waterford Coast, useless for swim planning or even accurate distance measurement, until this year, when the high-resolution images were added. Hoping I’d have time to play with, and remembering the previous swim, that I hadn’t made it the whole way to Ballyvooney, I’d have to finish this swim by swimming back into the range of the previous swim, I swam directly for the outside of Gull Island, but didn’t make the far outside of it for twenty minutes. Oh-oh, might be another current. At the island, unsurprisingly given its name, there were good numbers of seabirds, all the usual suspects, who took to the air en-mass to wheel around, cry and dive for closer inspection. At least 50 birds must have taken wing, probably the largest number of seabirds I’ve disturbed. 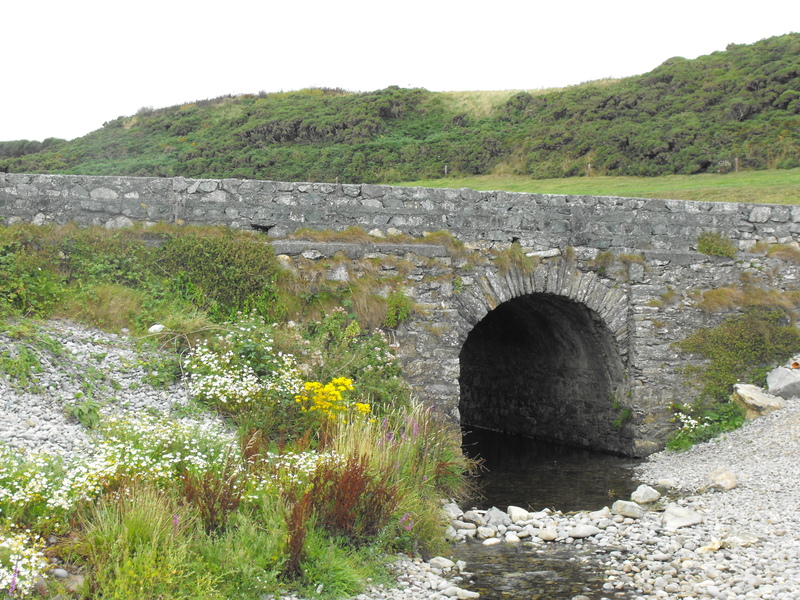 After passing outside the island I continued diagonally in toward the coast, aiming for the next headland, guessing Stradbally would be past it. I was watching the section of high cliff for a minute or two before realising, I shouldn’t have been noticing it so much, so that meant I wasn’t making progress. After five minutes I was sure that I was making no forward progress, and not knowing from which direction the current may be coming, I started to zip-zag. First I tried outwards and still not making headway, before finally starting to move again as I tried headed toward the cliffs. 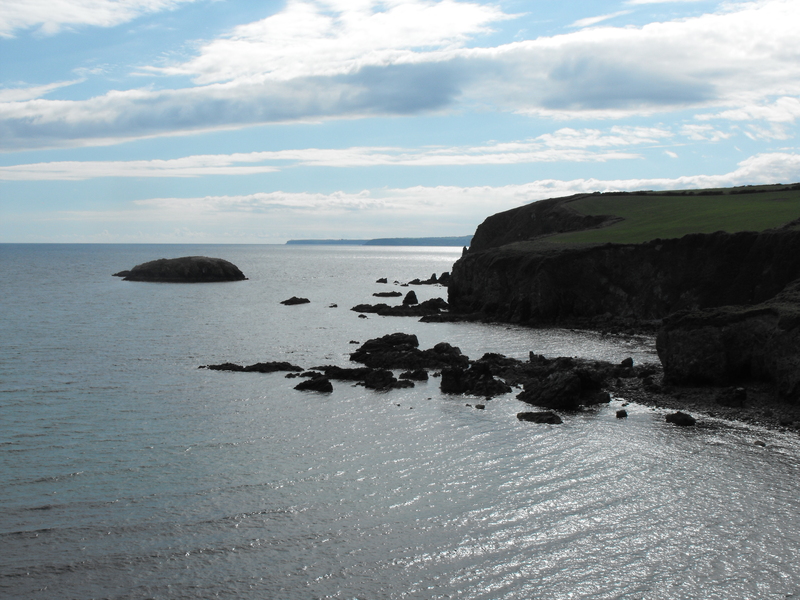 I turned the very interesting headland around Stradbally at 50 minutes, 10 minutes longer than my estimate, and spent another ten minutes swimming into the cove, turning, swimming around a few stacks outside the Cove and heading back to Ballyvooney. I covered in about five minutes the distance it had taken me twenty on the way outwards, by far the strongest current I’ve encountered on this entire stretch of coast, a sting in the tail of Project Copper. 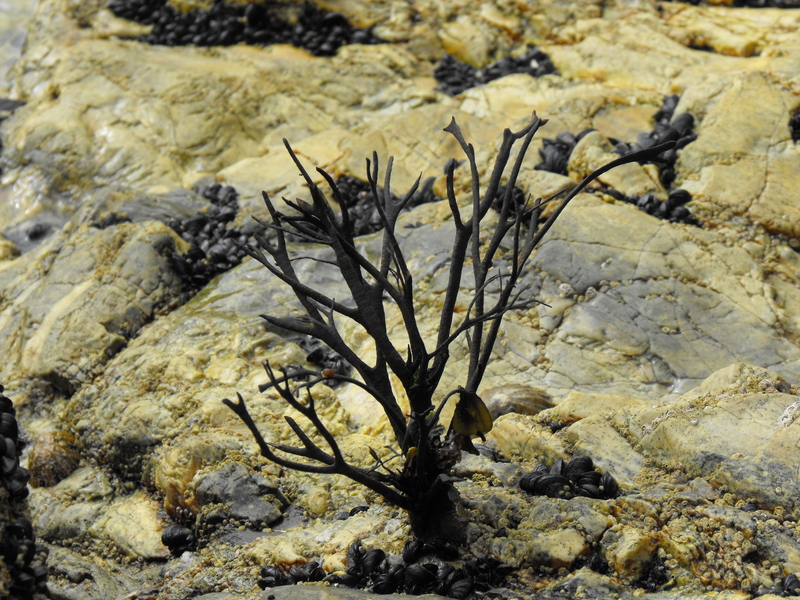 Returning, this time I passed inside Gull Island , then swimming across the Cove again to overlap my previous swim, and then into the cove for a difficult climb out on the shingle, in a time of about an hour and thirty, longer than anticipated. I met Ryan, a 4th year UCC geology, and asked him a few geology questions beyond the basics I’ve picked up over the years, before I swam. 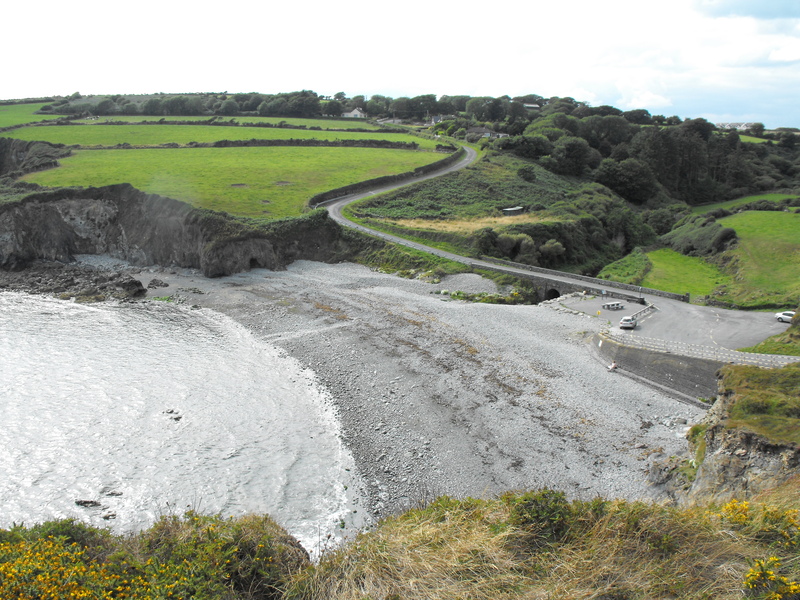 Ryan had chosen Ballyvooney for hist 4th year project and had been on site for over a month and still had a lot of work to do, due to the complexity of geological features in the tiny cove. 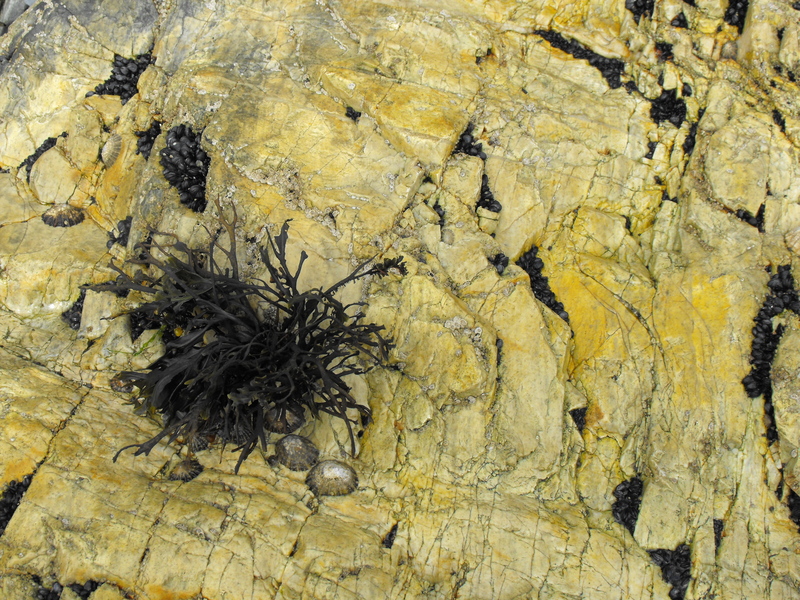 And walking around it shingle and beneath the low cliffs, the riot of colour just in rocks alone was beyond any other location I’d seen, and I’d seen a lot of colour already. 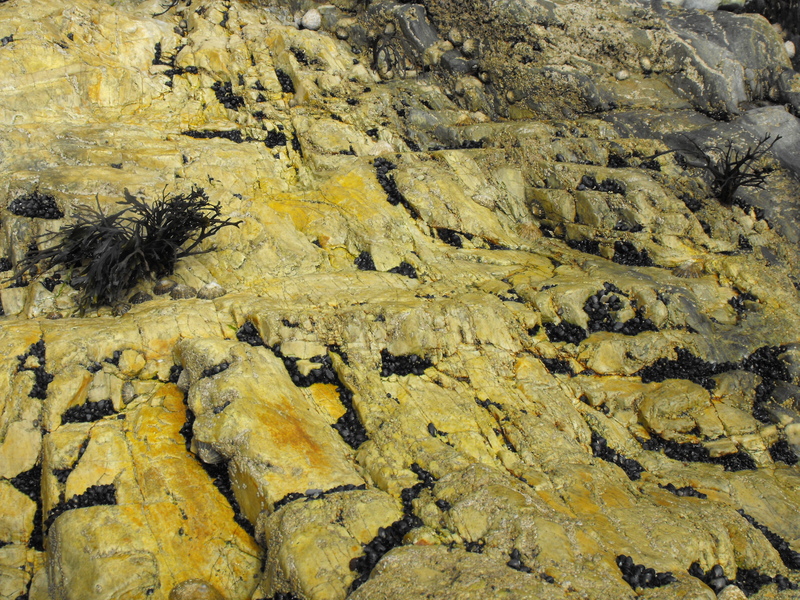 Ryan had gone (I’d suggested a visited to the Old Red Sandstone est of Ballydowane Cove after he said he preferred sedimentary rocks, maybe he went) so I couldn’t ask him about the particularly striking small section of pale and golden-yellow rock, with a few sparse growths of seaweed attached. 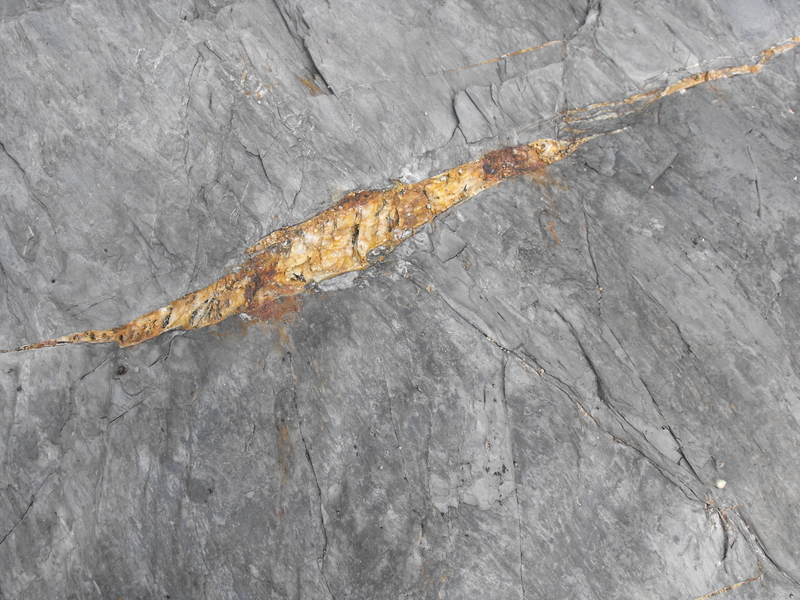 I took a lovely image of some shale with embedded quartz, which, like those picture of beach stones and pebbles that I like, also makes a great desktop wallpaper on full size. Project Copper is over. 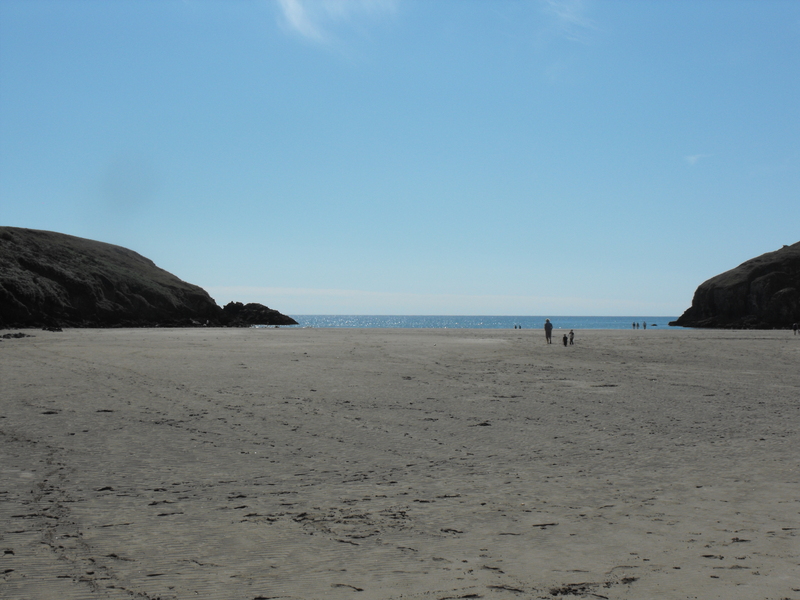 I’ve swum the entire Copper Coast, unsupported. I’ll do an overview separately. I’m land-locked in Texas and get to stare at blue lines for my hours of water time. ‘Preciate the view from more expansive goggles. Well done Donal. Great idea for a swim. Must give you a real appreciation of the coastline around here!